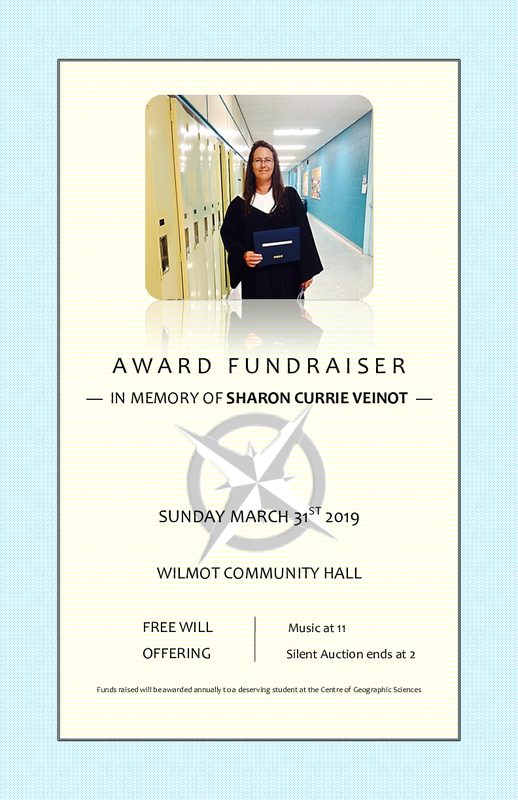 This event is to raise funds that will be used to perpetuate an annual award to be given in Sharon's memory each year at the Centre of Geographic Sciences/NSCC graduation ceremony. Faculty of the Geomatics Engineering Technology (Survey) Program will decide upon a deserving student who demonstrates diligence, determination, support to fellow students and a strong work ethic like Sharon did when she was a student! Free will offering at the door. We will have music starting at 11, a 50/50 draw, canteen will be open and a Silent Auction closing at 2pm.